Thanks to Tom Popov for a nice set of instructions (instead of Microsoft’s spaghetti @ http://technet.microsoft.com/en-us/library/bb632662.aspx). Here is the procedure how to remove PRI SCCM Child Primary Site from its CEN SCCM Parent Site. Preinst.exe /dump -> shows SCCM sites in SCCM Parent Central Site. The target is to remove PRI Child Primary Site. Preinst.exe /dump -> Executing again shows that PRI Child Primary Site has been removed from SCCM Parent site. Finally you can see that all locked out items have been removed. All Software deployments packages, Advertisements, OS deployment packages, and Task Sequences have been inherited form SCCM Parent site into SCCM Child Site and can be modified. This is a very helpful article on pre-installing SQL Express on a SCCM 2012 Secondary server so you can customize the install to fit your needs. Even after all of the tweaking noted in the article I still had issues. 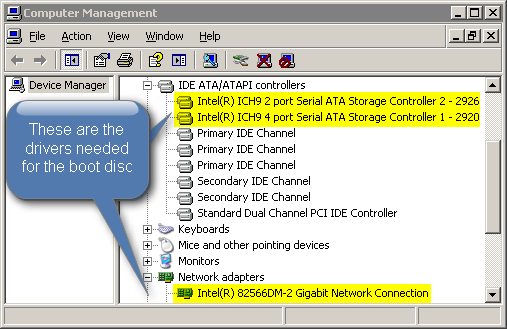 However, even after enabling TCP/IP and setting the port to 1433 I still could not connect. I could connect to SQL locally using SQL Server Management Studio and SQLCMD, but I could not remotely UNTIL I added the port to the connection string (CM12-Secondary\CONFIGMGRSEC,1433). When it comes to being silent, there is suppress, really suppress, and broken. This is a great article by Jason Sandys on file and registry redirection when dealing with 32-bit applications on 64-bit operating systems. I’m reposting two wiki’s I had written awhile ago. I don’t really use my wiki anymore so I’m moving some content to my blog. Michael Petersen has a good article on Finding and adding only the correct device driver to the Boot image on his CoreTech blog which is also in the TrueSec July 2011 newsletter. The day before I saw Michael’s article I worked out a method of using the VEN & DEV ID to find the right driver. I *think* my method is more accurate and will help get the RIGHT driver that is in the SCCM database. I also don’t have to dig through .INF files. 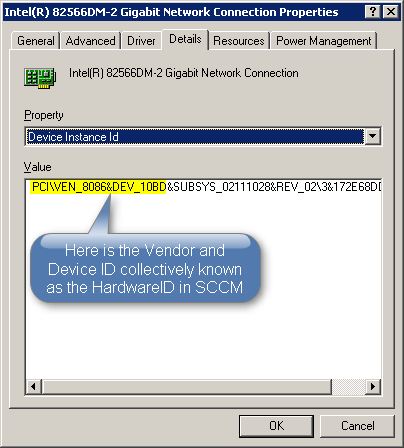 After finding the CI_ID from the SQL Query, I search for that in the SCCM Console and add it to the boot disc. This way I avoid using the name which can have many duplicates.